Symbrium has unique capabilities to design and fabricate high power density gearboxes for incorporation into test machines, dynamometer drivelines and powertrain research and development set-ups. Symbrium has uses highly specialized gearbox design and analysis tools along with extensive proprietary gear material and bearing life fatigue data that allows us to design gearboxes of amazingly small size and unheard of reliability. Symbrium has supplied custom gearboxes to some of the most demanding aerospace research and development facilities in the world. Symbrium gearboxes having accumulated billions of cycles running at very high speeds and loads with practically zero maintenance. Symbrium does not perform contract design or supply loose gears. 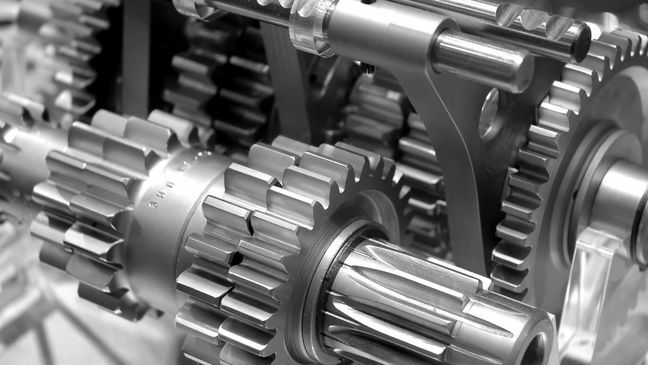 Our in-house design and manufacturing capabilities are focused on providing gearboxes for end customer use and integration into Symbrium designed and built machines. We do provide certified test gears to support material and performance testing using Symbrium test machines. Most custom gearboxes are designed to AGMA or ISO standards using public domain material data and commercially available software based on textbook formulae resulting in durable albeit costly over-sized units. Symbrium gearboxes may be up to three times smaller and cost one half that of conventionally designed systems.